Hi – I have a question – my mother is in a nursing home, Medicaid pays for the home – she must turn over her social security and small pension to them each month. She has no money – she has a credit card from Bank of America with $3500-$4000 on it – she is the only user of the card, I am not listed as an authorized user – I have been making the minimum payments – I can no longer afford to do this – what should I do? If you stop paying then Bank of America may try to collect from her but if she has no assets then there is nothing to go after. Even if they decided to sue her and they won, it sounds as if your mother is what people call judgment proof. This just means there are no assets to go after to try and collect the judgment. Typically, public benefits and Social Security are exempt from being garnished. Alternatively, your mother could file bankruptcy to legally terminate the debt in about 90 days. In this case she would not face any possible tax liability from the charge-off of the debt and it would stop any future collection attempts. The cost of filing bankruptcy might be around $1,900 when all is said and done but the rapid elimination of the debt and the ensuing quiet might have some value as well for you and your mother. That is a question you will have to consider. If bankruptcy sounds like the better way to make your mother’s future days better without the threat of the debt hanging over her, then I would suggest you talk to a local bankruptcy attorney and discuss her specific situation. Most bankruptcy attorneys will gladly talk to you for free. If you’d like to stay posted on all the latest get out of debt news and scam alerts, subscribe to my free newsletter. This article by Steve Rhode first appeared on Get Out of Debt and was distributed by the Personal Finance Syndication Network. Email has become a critical tool for transactions — from the sending of Uber receipts to delivery of hotel coupons. Naturally, companies that send mission-critical consumer emails often turn to third-party firms like SendGrid to manage the delivery of millions of messages. Of course, as third parties that maintain trusted relationships with both consumers and corporations, such email providers are an obvious target for hackers. Imagine the damage a criminal could do if he could believably pose as a giant tech firm and send out emails to all consumers? Such emails could ask millions of users to reset their passwords, for example, or update their credit card information, or even send bitcoins. Such attacks are now under way. SendGrid, which has 180,000 customers and sends emails for giants like Uber and Spotify, said this week that a hacker who broke into company systems earlier this month did more damage than initially believed. On April 9, the firm confirmed to The New York Times that a Bitcoin-related client account had been compromised and used to send phishing emails to its customers. But on Monday, SendGrid said additional investigation revealed that one of its own employees’ accounts had been compromised and used to access several SendGrid systems in February and March. The firm is urging its clients to change passwords and enable two-factor authentication. It takes only a little creativity to imagine all the damage a hacker who managed to steal customer email lists and credentials could do. But a harrowing tale told by cloud provider Chunkhost.com on its website offers a cautionary tale. Co-owner Nate Daiger wrote last year that a hacker talked SendGrid into changing its point of contact email from support@chunkhost.com to support@chunkhost.info, then used that change to retrieve a password reset email on two bitcoin-using clients. Fortunately, both clients used two-factor authentication, Daiger wrote. “Our customers’ accounts were protected and the attackers were stymied. But it was really close,” he wrote. Corporate clients who use third-party email services should be on notice: hackers are actively targeting such accounts. Meanwhile, here’s an important notice to consumers: You can’t believe everything you read, even an email that appears to come from a company you trust. Hackers can sent out very believable-looking phishing emails with requests for password changes or payment information. You should always be skeptical of such emails, but now, you have new reasons to be so. When feasible, avoid clicking on links in emails and instead visit websites directly by typing the site address into your web browser’s address bar. If you have given up sensitive information to a phisher, it’s important to take steps to control the damage. If it’s an account number, report your account info as stolen so the bank or card issuer can close the account, or take similar steps to stop or undo any instances of fraud. Keep a close eye on your account statements, and check your credit reports and credit scores for signs that someone has opened an account in your name, or is using an existing one. You can get your credit reports for free every year from AnnualCreditReport.com, and you can get your credit scores for free from several sources, including Credit.com. It’s no secret Americans aren’t great at saving for retirement. Actually, the research on that is pretty startling, but it seems people who are saving might be getting better at it. Retirement account balances have hit record highs and contributions have increased, according to an analysis from Fidelity Investments, one of the largest mutual fund companies in the country. At the end of quarter one 2015, the average Fidelity 401(k) balance was $91,800, up 3.6% from last year, and the average individual retirement account balance was a record high of $94,100. Among 401(k) account holders, a record 23% increased their contribution from 2014. While it’s great to have a snapshot of how some workers are increasing their commitment to saving for retirement, national savings figures fall incredibly short of the Fidelity numbers. Among working-age households, 45.3% do not have retirement accounts, according to a January 2015 report from the National Institute on Retirement Security. The figures are based on 2013 data. That’s 39.6 million households. Americans have an average of $2,500 in their retirement accounts, an average brought down significantly by the large portion of people without any savings. There are lots of reasons this is concerning, but on an individual basis, reaching retirement age without adequate savings can have dire financial consequences. A lack of savings may lead you into debt or prevent you from paying bills, both of which can damage your credit. You never know when you might need something that requires a credit check, which is part of why it’s so important to plan for long-term financial and credit stability. The credit implications are important — you can keep an eye on your standing by getting a free credit report summary each month from Credit.com — but saving so you can live comfortably and avoid debt can have a major impact on your overall well-being. You may not be anywhere near that average 401(k) balance of $91,800, but every little bit of savings can mean a lot for your future. It’s been more than a year since legal recreational pot sales started in Colorado, and as much as dispensary owners enjoy the booming business, they’re sick of swimming in cash. Though the Department of Justice released regulations last year allowing banks to accept money from legal dispensaries, it’s still a federal crime — the announcement that the DOJ won’t pursue institutions that process legal pot money hasn’t been enough to make everyone comfortable. Some of them may be working with financial institutions that have decided to accept money from legal cannabis sales, despite federal laws, but they’re probably trying to downplay or conceal the nature of the business, FOX31’s investigation suggests. Credit card transactions conducted at legal dispensaries produced receipts with company names like “AJS Holdings LLC” and “Indoor Garden Products.” Even though the federal government has said it will stand by and let legal dispensaries use the banking system and the credit card transactions it enables, that hasn’t erased the concerns over Drug Enforcement Agency audits for money laundering. If it’s becoming more common for dispensaries to accept credit card payments, that’s both good and bad for consumers. The good thing is the ability to pay as you prefer and allow you to walk into a dispensary without a bunch of cash in your wallet. On the other hand, using a credit card may lead consumers to spend more than they can afford, potentially accumulating credit card debt. Then again, all consumer goods pose that threat — the important thing is to spend within your means, whether you’re buying indoor gardening products or “Indoor Gardening Products.” What you put on your credit card doesn’t matter to your financial and credit stability, but how much you charge and how you manage that balance does. Good credit is synonymous with opportunity: It allows you greater access to things like apartments, auto loans and mortgages, not to mention more affordable interest rates on credit products. Unfortunately, the majority of U.S. consumers have what’s called a subprime credit score, meaning their credit history makes it difficult or impossible to get some services or receive low interest rates on financing. In fact, only in 13 states do the majority of consumers have near prime, prime or super prime credit, according to TransUnion TransRisk Score data from the third quarter of 2014. The TransRisk Score assesses consumers using a scale of 150 to 934, with anything below 700 considered subprime. Nationwide, 55.6% of consumers had subprime credit in Q3 of 2014, and Mississippi had the most consumers with poor or bad credit: 69.2% fell into the subprime or lower category, according to an illustration from the Assets & Opportunity Scorecard produced by the Corporation for Enterprise Development. Payment history and debt amount are two of the most influential factors that determine credit scores, which is why we included some related data in these state rankings. Keep in mind that the debt amount factor includes how much of your available credit you use, not just how high your balances are. Even if you have little debt, if you have little available credit on your credit cards, your credit score may suffer. To see how your payment history, debt amount and other behaviors affect your credit standing, you can check out your free credit report summary on Credit.com. The percentage of U.S. residents who own their homes is at the lowest point it has been for more than 20 years, according to a report from the U.S. Census Bureau. In the first quarter of 2015, 63.8% of people owned their housing units, down from 64.8% at the start of 2014 (these figures are seasonally adjusted). The Census data includes decades of quarterly, seasonally adjusted homeownership rates, and those rates have not fallen below 64% since 1993. The rate was 64% in the fourth quarter of 2014. The margin of error for quarterly homeownership rates is 0.3%, meaning the change from the end of last year to the start of this year wasn’t statistically significant. The year-over-year change is. Homeownership peaked in the second quarter of 2004 at 69.4% and has generally declined since. Looking just at first-quarter data, the homeownership rate has steadily fallen from a high of 69.2% in 2005. Among consumers younger than 35, homeownership is far less common than it was six years ago, when nearly 40% of that age group were homeowners. As of last quarter, not quite 35% of them are (not seasonally adjusted). The greatest decline in homeownership over the last year came in the 35- to 44-years-old category: It fell from 60.7% in quarter one 2014 to 58.4% this year. There are many reasons homeownership rates have fallen. Though foreclosure rates have fallen in recent years, they still remain historically high. Former homeowners who went through foreclosure likely haven’t yet been able to return to the real estate market, which partially accounts for the higher number of renters. On top of that, mortgages aren’t easy to get. Lending standards have eased a bit since the recession, but even consumers with decent credit are still finding it difficult to secure home loans. Given that climate, the most control consumers have over attaining their dream of owning a home is to get their credit in good shape (you can see where you stand by getting a free credit report summary on Credit.com). Coupled with a solid financial standing and an affordable market, a credit history of on-time payments and well-managed debt can improve consumers’ chances of loan approval. Can Wired Cities Outsmart Hackers? A monster storm is on a collision course with New York City and an evacuation is under way. The streets are clogged, and then it happens. Every traffic light turns red. Within minutes, the world’s largest polished diamond, the Cullinan I, on loan to the Metropolitan Museum of Art from the collection of the British Crown Jewels, is whisked away by helicopter. While this may sound like the elevator pitch for an action film, the possibility of such a scenario is more fact than fiction these days. Cesar Cerrudo is the chief technology officer at IOActive Labs, a global security firm that assesses hardware, software and wetware (that is, the human factor) for enterprises and municipalities. A year ago, Cerrudo made waves when he demonstrated how 200,000 traffic sensors located in major cities around the United States—including New York, Seattle, Washington, and San Francisco—as well as in the UK, France and Australia, could be disabled or reprogrammed because the Sensys Networks sensors system that regulated them was not secure. According to ThreatPost, these sensors “accepted software modifications without double-checking the code’s integrity.” Translation: there was a vulnerability that made it possible for hackers to reprogram traffic lights and snarl traffic. A widely reported discovery, first discussed last year at a black hat hacker convention in Amsterdam, highlighted a more alarming scenario than the attack of the zombie traffic lights. Researchers Javier Vazquez Vidal and Alberto Garcia Illera found that it was possible, through a simple reverse engineering approach to smart meters, for a hacker to order a citywide blackout. The vast array of attacks made possible by the introduction of smart systems are many. With every innovation, a city’s attackable surface grows. The boon of smart systems brings with it the need for responsibility. It is critical for municipalities to ensure that these systems are secure. Unfortunately, there are signs out there of a responsibility gap. According to the New York Times, Cerrudo successfully hacked the same traffic sensors that made news last year, this time in San Francisco, despite reports that the vulnerabilities had been addressed after the initial flurry of coverage when he revealed the problem a year ago. It bears saying the obvious here: Cerrudo’s findings are alarming. With the information of how to hack the Sensys sensors out there, was San Francisco’s security protocol nothing more than dumb luck? How could it be that the same issue was imperiling the safety of San Franciscans? The integration of smart technology into municipalities is a new thing. The same Times article notes that the market for smart city technology is expected to reach $1 trillion by 2020. As with all new technology, compromises are not only possible, but perhaps even likely, in the beginning. The problem here is that we’re talking about large, populous cities. As they become ever more wired, they become more vulnerable. The issue is not dissimilar from the one facing private sector leaders. Organizations must constantly defend against a barrage of advanced and persistent attacks from an ever-growing phalanx of highly sophisticated hackers. Some of them work alone. Still others are organized into squadrons recruited or sponsored by foreign powers—as we have seen with the North Korean attack on Sony Pictures and the mega-breach of Anthem suspected to be at the hand of Chinese hackers—for a variety of purposes, none of them good. The solution, however, may not be out of reach. As with the geometric expansion of the Internet of Things market, there is a simple problem here: lack of familiarity at the user level—where human error is always a factor—with proper security protocols. Those protocols are no secret: encryption, long and strong password protection, and multi-factor authentication for users with security clearance. While the above-noted protocols are not a panacea for the problems that face our incipiently smart cities, they will go a long way towards addressing security hazards and pitfalls. Cerrudo has also advocated the creation of computer emergency response teams “to address security incidents, coordinate responses and share threat information with other cities.” While CERTs are crucial, the creation of a chief information security officer role in municipal government to quarterback security initiatives and direct defense in a coordinated way may be even more crucial to the problem-sets that arise from our new smart cities. In the pioneering days of the smart city, there are steps that municipalities can take to keep their cities running like clockwork. It starts with a proactive approach to security. This article by Adam Levin was distributed by the Personal Finance Syndication Network. North Carolina is trying to pass legislation which will roll back protections for consumers who have bad debt purchased by debt buyers. 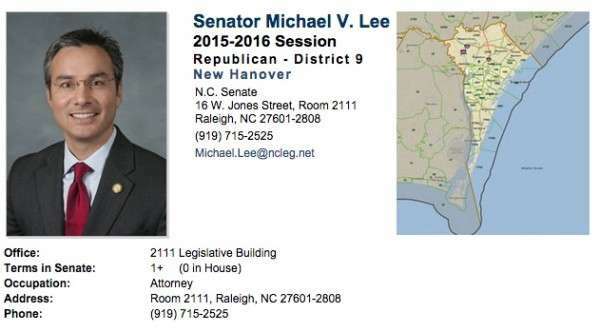 Senator Michael Lee from Wilmington, North Carolina is the sponsor of S.B. 511, titled Proof Required for Debt/Fees, which efforts to rollback the requirement the bad debt buyer must have detailed information about where and when the debt originated and details on how the fees were calculated, before suing the consumer. I can only assume Senator Lee is just an ill informed legislator. Because either he doesn’t care about to baseless claims his constituents face from bad debt buyers or he is becoming a cheerleader for debt collectors. The News & Observer says Lee believes rolling back the 2009 consumer protections, which “passed by a unanimous vote in the Senate because, on a bipartisan basis, people were troubled on behalf of taxpayers about what was happening in the courts,” is a smart thing to do. Lee’s argument about making it easier for collectors to sue is that consumers can challenge the suit in court and demand proof. But we already know people are afraid and don’t challenge these suits so Lee’s position is effectively to retard common sense protections already in place for consumers. In my opinion, this legislation is ill-advised, ill-conceived, and unwarranted. Besides, what we are really talking about here is just making sure the bad debt buyer has the information on hand to prove this is a valid debt. The only logical reason to remove this requirement would be so the bad debt buyer is not required to have this information on hand. And to make this situation even more ridiculous, Lee is listed as an attorney on his North Carolina General Assembly page. Lee’s idiotic sponsored bill wants to make a charge-off statement proof a debt is owed. Stricken as proof required by Lee’s bill is the contract which must contain the signature of the defendant and copies of documents generated when the credit card was actually used. Left in the bill is just a requirement that to prove the debt, the debt collector needs “A copy of the contract, charge‑off statement, or other writing evidencing the original debt.” Will a Post-It note be sufficient now? (1) The original account number. (3) The total amount claimed to be owed. (4) An itemization of post charge‑off payments or credits, where applicable. (5) The charge‑off balance, or, if the balance has not been charged off, an explanation of how the balance was calculated. (6) An itemization of post charge‑off fees, where applicable. (7) The date of last payment, where applicable. All of that appears to be easy to just pull from the air and write on that Post-It note rather than say, actually have proof and evidence to support the claim. But even Brown is as clueless as Lee. This is not an issue about not paying a valid debt. It is an issue that the debt that is being collected or sued over is in fact a valid debt. Surely, simply asking that the bad debt buyer have the proof the debt is really owed with common sense documentation like statements and contracts is not a requirement that North Carolina lawmakers should try to dilute. What do you think? Could Social Media Be Causing You to Overspend? Social media has exploded. It is a multi-million dollar industry with ordinary people becoming overnight sensations and companies cashing in on people’s apparently insatiable need to constantly be connected. It is a vital connection to loved ones serving overseas and to keep in touch with family and friends. The many different platforms have enhanced our lives by making us feel connected and that our opinion matters. Yet what if all this sharing has a dark side? Could social media be causing you to overspend? Overspending is a big problem in many households. With skyrocketing prices at the store and gas going steadily up and more people getting behind on their credit card and loan payments, sticking to a budget has become an almost impossible task. There never seems to be enough money left at the end of themonth, and it seems a paycheck just disappears. If you want to rein in your spending, first you have to determine where the money is going. Once all the necessities are paid like mortgage, rent, bills and food, do you spend too much on trying to keep up with the Jones’? Here are some questions to determine if your overspending is caused by social media. Do you constantly check to see what your friends bought? Are you spending more time than usual on social media? Do you feel anxious, jealous or dissatisfied with life after checking social media? It used to be just your neighbors and co-workers you tried to keep up with or outdo. Now it’s everyone in your circles, posting about their latest luxury cruise "just because" or posting beautiful pictures of their latest $100,000 kitchen remodel on Pinterest. It might not even be people you "know," just people you envy online. This might not even be a conscious choice; you might be overspending just to keep up appearances. You might splurge on a $2,000 sofa because you saw one online, even though it’s way out of your budget. You think it is okay because of the special financing, but you can quickly get in trouble if you miss even one payment, because the interest instantly gets added on from the day of purchase. Suddenly that $2,000 sofa balloons into $3,000, and you are still paying on it for months or years after you bought it. Resentment could be another byproduct of social media. You see all the seemingly perfect people online and you wonder why your life isn’t like that. You feel like it’s not fair, so you spend the $600 you managed to save for the emergency fund on one wild shopping spree. Then when a true emergency occurs, you have nothing left besides a few cool posts on Facebook and some new clothes or furnishings. The truth is that you don’t know everything behind the photos and posts. The couple with the gorgeous beach house, two perfect kids, and adorable puppy? Their finances could be in worse shape than yours or theycould be having health problems. You only get to see the surface or mask that they choose to post. Basing your own desires on what you perceive is like falling for the Wizard of Oz’s tricks. How do you turn it around? First, decide what your goals are. What do you want your life to look like? Do you want to be debt-free? Do you want your house to look like a spread in House Beautiful? Do you want a brand-new car or flashy clothes? Once you pinpoint your priorities, you can concentrate on mini-goals to reach them. Do I already have something I can use? How will this enhance my life or goal? After a while, the questions will become automatic and you will find yourself letting go of the constant need to spend, and instead become more content with what you have. Unplug for a while, at least until you get on track with your spending. There are so many ways to connect that it can become addicting. Like any addiction, sometimes going cold-turkey will break the spell it holds over you. Just try it for a week and see how you feel. Better yet, see how your finances are doing. Social media isn’t going away. It has become a part of our lives, for better or worse. How you choose to engage could be the difference between failing finances and a healthy budget. Once you master your overspending, social media can be fun again! Shaunna Privratsky is a regular contributor to TheDollarStretcher.com. Visit today for 8 ways to beat retail therapy and how to recognize the emotions behind buying stuff. This article by Shaunna Privratsky first appeared on The Dollar Stretcher and was distributed by the Personal Finance Syndication Network. What Does A “Charge-Off” Notation Mean On My Credit Report? Q. What does a “charge-off” notation mean on my credit report? A. A common theme in my credit card debt relief law practice is to know what you owe and have a plan to pay off your credit card debt. The best way to get a true picture of your debts is to run your credit reports from the three major credit bureaus, Equifax, Transunion and Experian. I recommend getting all three reports from annualcreditreport.com. This site will provide all three reports for free and you can save them to your computer for future reference. It is important to get all three of your credit reports since your creditors might not report to all three bureaus. If you have debts you have not paid for quite some time, you may see a notation that your account has been charged off. So what does that mean? A charge-off is the declaration by a creditor that an amount of debt is unlikely to be collected. This occurs when a consumer becomes severely delinquent on a debt. Traditionally, creditors will make this declaration at the point of six months without payment. But this does NOT mean that you don’t have to repay the debt. Your creditor considering the debt “uncollectable” is just a term that has no bearing on your duty to pay back your debt. Your creditor is still legally entitled to collect on this debt. At this point, your creditor can continue collection efforts or send your debt out to a collection agency or sell your debt to a third-party. If you are receiving mail from entities you have never heard of, chances are your debts are with a collection agency or debt buyer. Some common names you might see are Portfolio Recovery Associates, Midland Credit Management, Cavalry Portfolio Services, Encore Capital Group, Absolute Resolution Corporation, NCO Financial Systems, and Enterprise Recovery. It is important that you have these creditors verify that you actually owe a debt to them before sending any payments to them. As long as you can verify that this is the proper person to make payments, it is crucial that you realize that you might have options for repayment. A few options to consider are repayment of the full balance over an extended term, bankruptcy, or a debt settlement. Going back to my original theme, have a plan. If you are facing debts that are charged off, you face the potential of getting sued due over your non-payment. Before it gets to this point, you need to develop your individual plan to see what works best for you. There is no “one-size-fits-all” solution when looking at your debt relief options. This article by Daniel Gamez first appeared on Gamez Law Firm and was distributed by the Personal Finance Syndication Network.